This badge was issued to Gerard Luechinger on 01 Feb 2019. 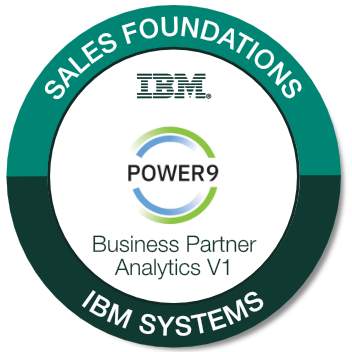 This badge earner understands the value of using the IBM POWER9 system to support the strategic analytic workloads for clients, for speed and efficiency. The individual is able to articulate to the client the value in a way that makes the IBM offering capabilities compelling. To earn this badge, you will need to complete two of 3 requirements listed on our badging website. Follow the link under additional details to see the requirements.